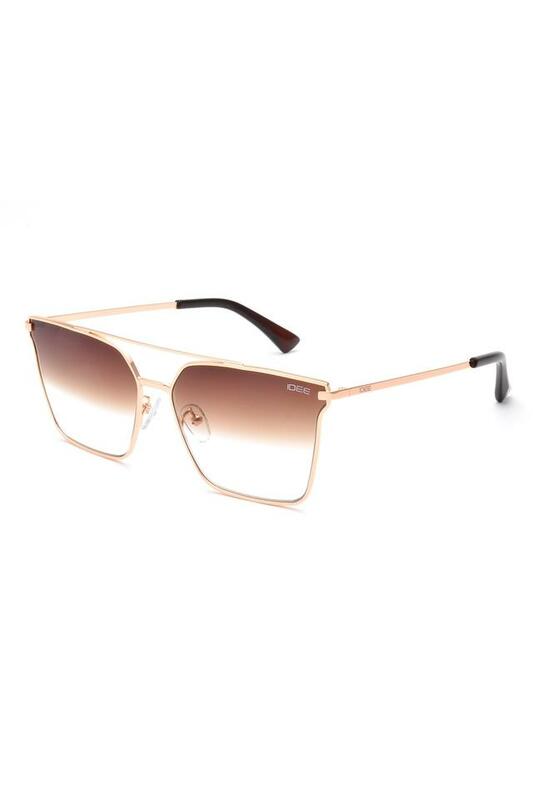 Trendy and fashionable, this square sunglasses captures the spirit of the renowned brand, Idee. Featuring a branding on the left lens which scores high on fashion metre. Also, the full rim lends it a trendy look. Besides, it is made from UV protected lenses which promise to keep your eyes protected from the harmful rays of the sun. Designed keeping the latest trends in mind, this pair of sunglasses will look good with a T-Shirt and a pair of jeans. Featuring a square style, it is suitable for any casual occasion.